nephrology by U.S. News & World Report. 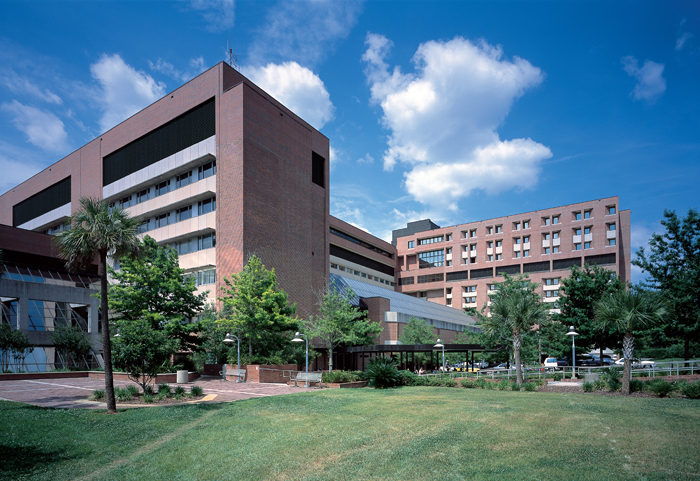 Three inpatient consult teams serve patients at UF Health Shands Hospital and the Gainesville Veterans Affairs Medical Center. Each team includes an attending physician, a fellow, a first (PGY-2) or second (PGY-3) year medical resident and two to four medical students. The consult service at UF Health Shands Hospital maintains a daily census of 20 to 25 patients. The consult team evaluates patients with a wide variety of acute and chronic renal, hypertensive, and electrolyte disorders, performs percutaneous kidney biopsies, and manages patients requiring either acute or chronic dialysis. The inpatient service performs about 3000 dialysis treatments, 1500 CRRT treatments, and 40 to 50 renal biopsies annually. 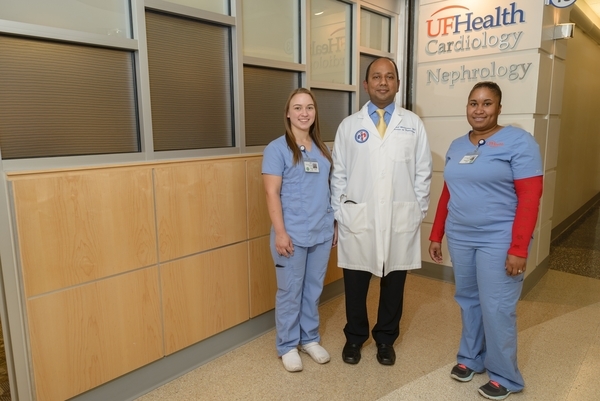 The inpatient transplant service at UF Health Shands Hospital has a daily census of 20 to 25 patients. The team performs pre-transplant and living related donor evaluations and follows all transplant patients post-operatively on a separate transplant ward. Currently, approximately 150 kidney transplants are performed each year and more than 1,400 kidney transplant recipients are managed as outpatients. 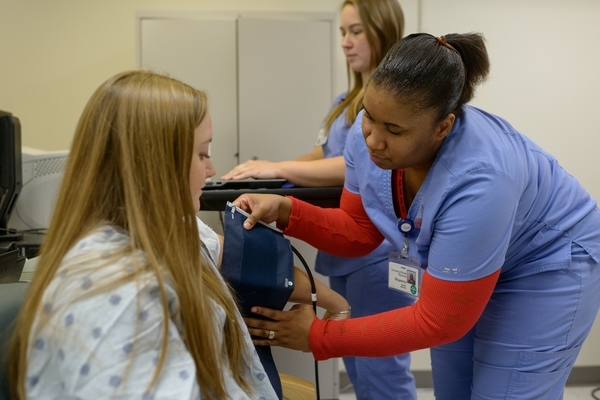 The consult service at the VAMC carries an average census of 10 to 15 patients, and provides inpatient consultations for all nephrologic and hypertensive disorders. This service also staffs an active acute and chronic hemodialysis facility. It is helpful for patients to have their medical record number, social security number and date of birth available when calling for an appointment. Patients are seen throughout the week. For New Patients: Please call 352.265.4845 for a new patient appointment. Your referring physician should send your most recent clinic note, labs, renal ultrasound report and films (if available), echocardiogram (if available) as well as your current address, phone number, insurance information. Your referring physician should also indicate if the physician considers your situation to be urgent. Urgent referrals usually receive a call back in 24 hours, all others within 72 hours. For Returning Patients: Please call 352.265.4845 for a return appointment. Our expert team at the hypertension diagnosis clinic utilizes the most sophisticated technology to ensure accurate diagnosis and treatment of unmanageable high blood pressure. Ambulatory Blood Pressure Monitoring (ABPM) provides an accurate and reliable measurement of blood pressure throughout the day and night, while also providing valuable diagnostic information beyond what is routinely provided in-clinic or with home blood pressure monitoring. In clinical trials, some patients benefit from blood pressure medications, while others do not. This led to the question of whether pressures in the arm are reflective of the pressure at the root of the aorta. This particular pressure is felt by the major organs, such as the kidney and the brain. These organs are directly connected to the aorta and suffer from the consequence of high blood pressures. 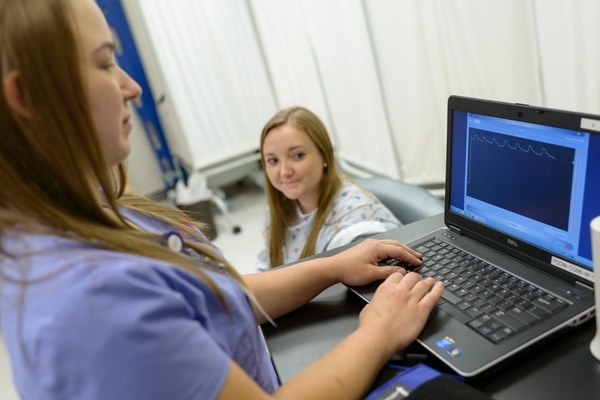 While earlier determination of central blood pressures required invasive heart catheterizations, recent technology allows us to accurately determine central blood pressures by measuring the wave form of pulse in the arm. Cardiac output: The blood pumped by the heart with each cycle. Systemic vascular resistance: The resistance to blood flow offered by blood vessels. Fluid status: The total amount of fluids in the body. For more information or to make an appointment, please call 352.265.4845. To obtain a copy of your medical records from UF Health Nephrology – Shands Hospital, please contact 352-265-4845, Referral Fax: 352-627-4179.